DevOps is fast becoming a core competency required to gain competitive advantage. 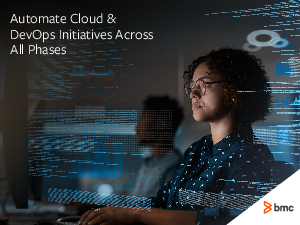 At its most basic level, DevOps is a team approach to drive agile modern application development and operations to deliver high quality critical digital business services. Cloud services are fundamentally changing the way applications are developed. The near ubiquitous, lowfriction access to cloud computing for developers, who can literally access powerful computing resources at the touch of a keystroke or swipe of a credit card, has fundamentally altered the software development lifecycle (SDLC).